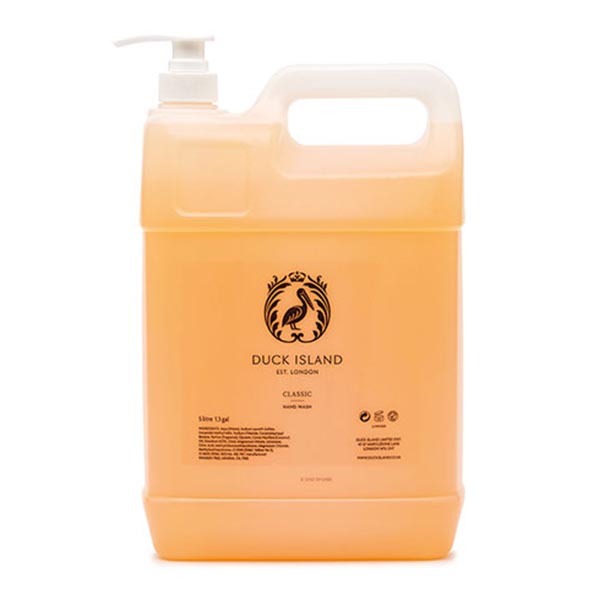 Duck Island liquid hand wash in a 5 litre refill bottle complete with white pump mechanism to make is easier to refill your 250ml bottles. Printed clearly with full ingredients. 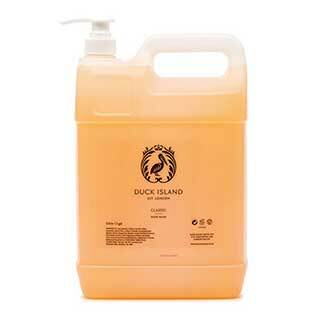 2 x 5 litre Bottles per Case.